I’m not sure what to make of this movie, secretly shot with a skeleton crew and no permits at the Walt Disney World and Disneyland resorts in Florida and California. How did they manage to fool security? How did they block the scenes so they could remain inconspicuous? How many times did they have to ride the attractions? 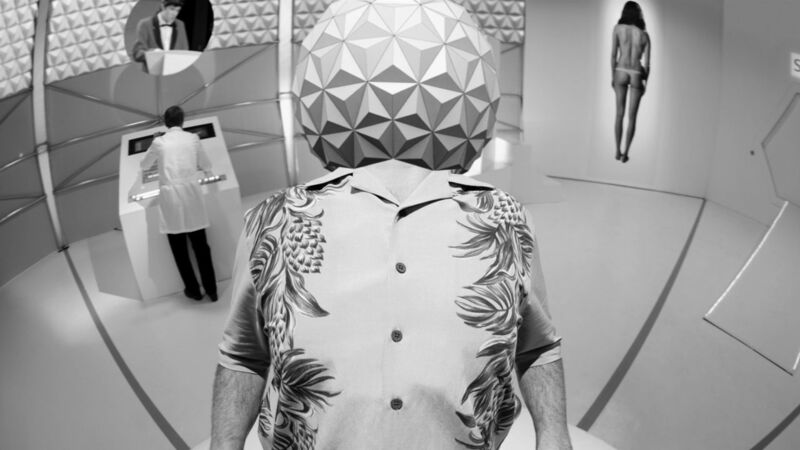 In many ways, those production mechanics are the reason why I kept watching Escape from Tomorrow, a stunt in guerrilla filmmaking unlike anything I’ve seen in a while. The actors are even superimposed over desired locations at times, adding to the film’s peculiar dreamlike quality. Now, that’s dedication. Less clear is what Escape from Tomorrow is about. It mostly seems to deal with a husband and father (Roy Abramsohn) going through a midlife crisis/nervous breakdown of sorts. There’s also a conspiracy (I think?) where prostitutes masquerade as Disney princesses, a “cat flu” sickness that can turn you into a (Cheshire?) cat, and trippy hallucinations aboard the It’s a Small World ride. I also detect (maybe?) 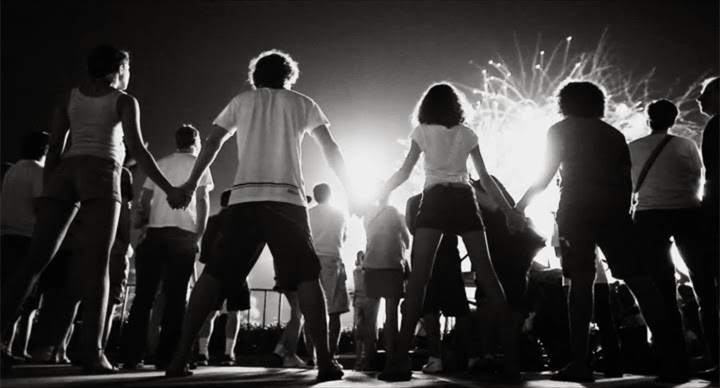 a subtext about fake middle class complacency and consumer brainwashing – I particularly like a sequence where a group of teens hold hands and stare hypnotically at the Epcot fireworks. But who knows, I could be imagining it. First-time writer/director Randy Moore shot Escape from Tomorrow in a couple of weeks. It shows. But even though the end result is too badly acted and haphazard to leave a long-lasting narrative impression, it leaves an impression nonetheless. Check it out. There’s really nothing else like it out there.